Here is another nice gift card deal starting 2/15. 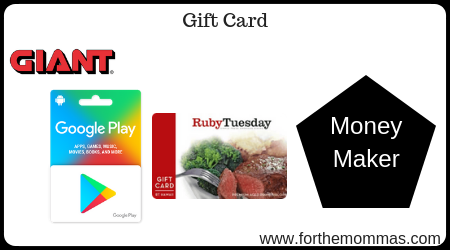 You will receive 10 X’s the gas rewards when you purchase Google Play or Ruby Tuesday Gift Card. What’s great is these gift cards do not have any activation fees and you score a moneymaker return on gas.